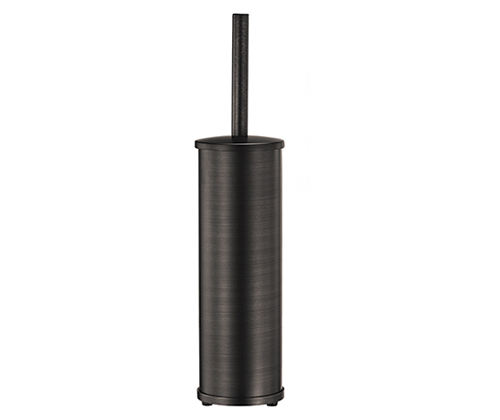 Removable cup in item K-1097 is made of black plastic. Removable cup provides easy and convenient care. 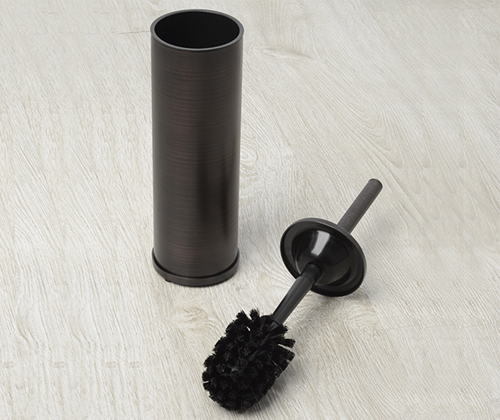 Toilet brush for K-1097 is made of black plastic. Metal lids have internal plastic insert. 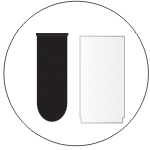 The insert is needed for easy, tight and noiseless junction of a lid and a cup. It also prevents scratches and shears. 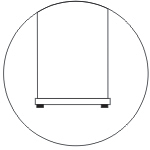 The internal insert of a lid K-1097 has a cone form and works as a “door check” for closing cup lightly. There are rubber feet on a base of metal cup and metal base. 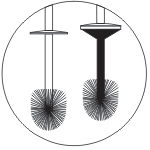 Rubber feet prevent floor coating from damage and keep an item from sliding on the floor.